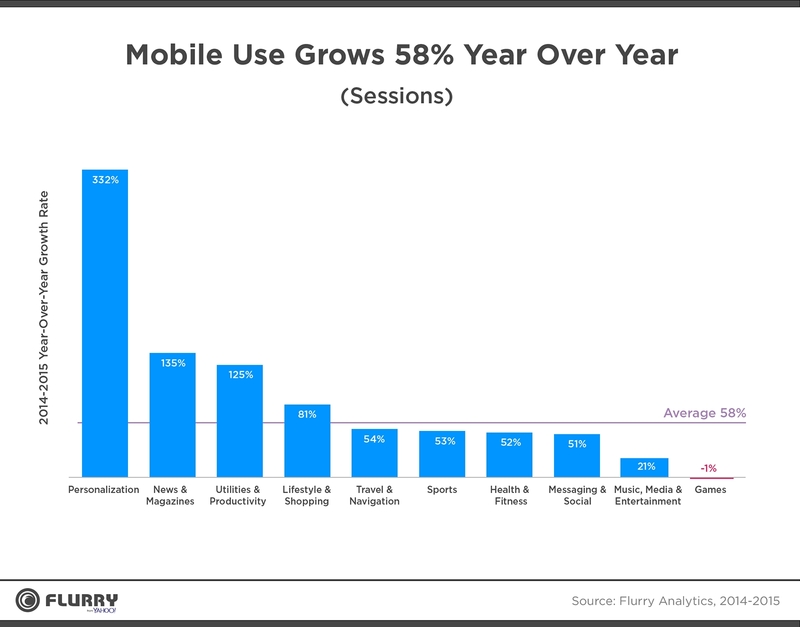 Mobile usage grew by 58 percent in 2015 according to new data from Flurry Analytics. The company’s annual mobile and application usage study sheds insights on mobile app activity and trends from around the world in 2015, analyzing more than 2.1 billion smart devices and 3.2 trillion sessions. The data shows that overall app usage grew by 58 percent in 2015. Plus, with the exception of games, every app category posted year-over-year growth, with the categories of personalization, news and magazine, and productivity leading the way with triple-digit growth (see image). It is also important to note that time spent on phablets grew by 334 percent year-over-year in 2015. What’s more, time spent on mobile surpassed that of television, with phablets posting significant growth in media consumption. This could position phablets and their apps as the digital nemesis to the cable industry. As previously reported, phablets ended up ruling the 2015 holiday season. In fact, 27 percent of all new devices activated for Christmas were phablets, with 50 percent of all Android devices activated in the same timeframe being phablets. According to Flurry, if the current trends hold, the phablet will become the dominant form factor by October of 2016 (see image). 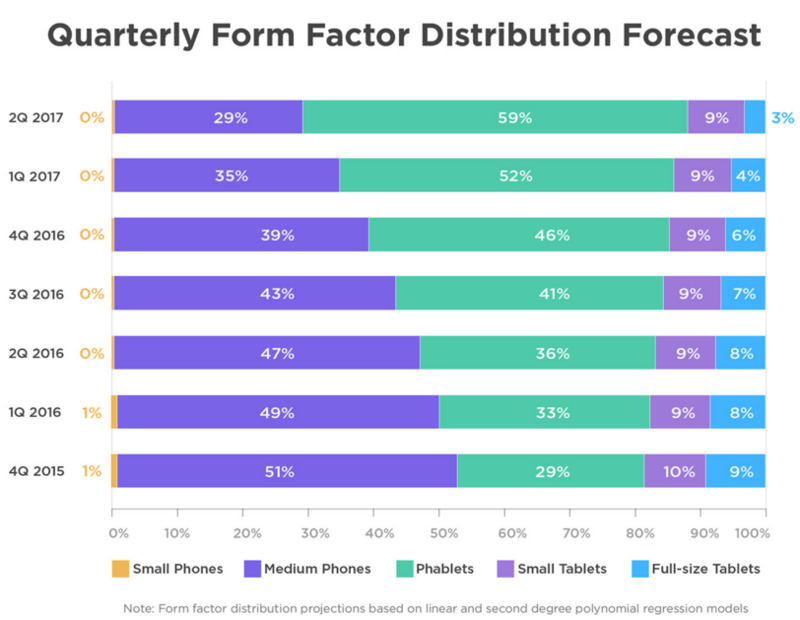 Also worth noting is that Flurry’s forecast suggests small phones will be extinct by the second quarter of 2016, as it has become clear that consumers not only want content, but they want it on a bigger screen.